The Pierce-Arrow Museum is located on the grounds of the Gilmore Car Museum at 6865 West Hickory Road in Hickory Corners, MI. 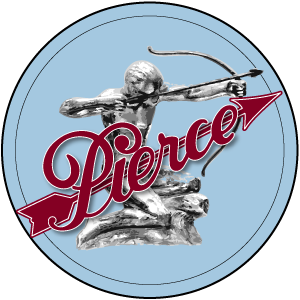 In 1999, the Pierce-Arrow Foundation was established for the purpose of creating a museum dedicated solely to the preservation of the history and products of the Pierce-Arrow Motor Car Company. The basic annual Pierce-Arrow Museum Membership of $40 includes admission to the entire Gilmore Car Museum complex for member and spouse. All membership fees and donations are fully tax deductible. About two dozen Pierce-Arrow vehicles including cars, bicycles, motorcycles and travel trailers are always on display as well as others on loan. A number of interesting items are exhibited which are connected with the design development and production of Pierce-Arrows. Replacement parts for your Pierce-Arrow as well as Pierce-Arrow clothing and gifts items that help raise money for the museum’s operating expenses each year. Your membership insures that the legacy of The Pierce-Arrow Motor Company is preserved for future generations. Museum members can enjoy numerous events at Gilmore involving Pierce-Arrows. Society members receive a variety of interesting Publications, including Technical Data, access to the Club Store, information about Annual Meets and Regional Activities, and a relaxed online Discussion Forum.